Keep Calm and Carry On: why is self care so hard? I was recently wondering why so many of the inspirational writers I come across these days are advocating self-care. I wrote about it last month and have a few more self-care tips to share with you this month too. It seems to me that the “Keep calm and carry on” spirit marked those of us who grew up in the years after the war. Our parents lived through it and rationing only came to an end a few years before I was born. Making do was the order of the day and carrying on in spite of adversity was seen as almost saintly. “Looking after Number One” (i.e. yourself) typified selfishness in a bad way. 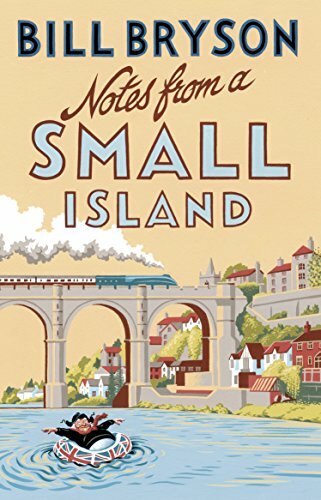 Thinking about all this brought to mind one of my favourite books, Bill Bryson’s “Notes from a small island”. In describing his much-loved adopted country, Bryson observes that the British have sayings like “Mustn’t grumble ” and “Let’s make do and mend”. The latter was the title of a pamphlet issued by the Ministry of Information during World War II. I wonder if he would be of the same opinion if he were writing today? And I wonder if all this goes some way to explaining why some of us find it so difficult to take care of ourselves? It’s not a concept we grew up with – quite the reverse! I hope some of the tips below will help. For Elbow Strike Back, use the opposite hand to push on your fist, in order to drive your elbow back behind you. Upon waking, stretch your body in some fun way for five minutes. Drink half your body weight in water (in ounces). Refuse to rush. When making commitments or appointments, put space in your calendar in between. Look for one thing in nature that astonishes you. New 5-week blocks of Nia classes have started at Keep Fit Darlington and at the Pioneering Care Centre. Two more weeks of the present block at Bishop Middleham. Unfortunately, the Ageless Grace class at Bishop Middleham wasn’t sufficiently well-attended for it to continue. Last week, you may remember me talking about the book by Dr Christiane Northrup about ageing well (I still haven’t read it by the way – I’m saving it for my summer break which begins on Wednesday; not that I’m counting the days or anything…). I’ve also been watching her video series which I mentioned last week too. Apparently, Joy and the right mindset have as much to do with ageing as your genes! And here’s some exciting news about someone else who talks a lot about ageing well – Denise Medved, who created Ageless Grace and whose 10 Tips for an ageless brain and body I mentioned a couple of weeks ago. Denise is going to be speaking at a TEDx event on 8 September. Her subject is Changing Your Aging Brain Can Be as Simple As Child’s Play. The talk will eventually be posted online; I’ll let you know when it is because it will be excellent. I’ve had the great good fortune to attend training with Denise and she’s such a lovely person. If you’ve not come across TED talks, they’ve worth looking up. There are some fascinating subjects. Visit the website or just search for TED talks on YouTube. One of my favourites is about how you can trick yourself into feeling confident through your body language (see below for link). Tip: think “Wonder Woman”! This is another move which strengthens your core muscles. In my experience Nia class members seem to find it one of the hardest to master. It’s easy if you relax your jaw, shoulders and neck and imagine shaking water off your shoulders. Or imagine that someone is behind you with a hand on each shoulder blade and pushes one shoulder forward and then the other. Try to do the move slowly and gradually build up speed. If it doesn’t come naturally, do it Your Body’s Way. Don’t force it and one day you’ll do it without even realising it! 26 August, 18.30 – 20.30 – Move with Ease, Aditi Yoga & Pilates, Darlington. Take 5 & Move to heal and stay young! Hello. It’s good to be back. The Nia Moving to Heal training in Burntisland was excellent. Lots of ideas for adapting Nia and with an emphasis on self-healing. Look out for some specific Moving to Heal classes in the near future. Then a few days taking it easier than usual. I’m usually so busy doing that I forget that I need to rest and switch off sometimes. Ironically that’s when some of my better ideas come to me – when I’m not really thinking about them. So my promise to myself this week is that I will programme in some time off. And not just an evening here and there, but a few days at a time. I was just beginning to really relax when it was time to get out and about again. Although I need time off and time to be still, the weekend course did impress upon me that movement can not only help us heal in body and mind, but it can also help us stay young. You may have come to the same conclusions if you watched the two BBC programmes “How to stay young”. More about that below. I just have time to give you a quick reminder about the new Nia class tonight at the Pioneering Care Centre in Newton Aycliffe. It’s at 6.30 p.m. but you’ll find me in the cafe from about 5.45. Why not join me for a cuppa and catch up first? This move develops mobility and stability in the legs, helping you to move more efficiently. You start from an Open Stance, imagine you’re standing in the centre of a clock face, and step your left foot behind the right – your ankles making a small “x” Come back to the Open Stance and then repeat with your left foot, keeping the back heel high. Keep your arms relaxed and natural. Cross Behind can be combined with a Cha Cha Cha and a Cross Front. Watch it here as Nia trainer Helen Terry suggests ways of energising and adapting the basic Cross Behind. I enjoyed the two programmes with Angela Rippon and Dr Chris van Tulleken who looked at the latest experiments and research that could “help put the brakes on the ageing process”. There were lots of tips about healthy eating and what science has discovered in recent years, but I was delighted that dancing and walking came out as two excellent ways of staying fit as we age. Dancing in particular is good for exercising the mind as well as the body, but then we knew tha didn’t we? You can read about it here or catch up on the iPlayer here. And isn’t Angela Rippon amazing? I hope I look that good at 71! Starts Tonight – Monday 18 April, 6.30 p.m.
18 and 25 April; 9, 16 and 23 May. Special introductory offer – £17.50 for all five classes if paid on 18 April. Minimum of six people required to run the class. Full details and booking form to download, or read more here. Jump to the Classes & Events page for full details of all classes, workshops and events. What do you like to share with people? I’m getting really excited about a lot of stuff I learned last weekend that I’m going to be able to share with you very soon: some really easy, safe moves to help you move more freely, prepare to do your daily activities or your favourite exercise/sport with greater ease and maybe even free you from pain and help you look younger. Well, I was lucky enough to be able to attend a Somatic Exercise training course with Martha Peterson, which taught me all sorts of interesting things about the way I stand (twisted) and move (resting more into one side). Had you noticed? Maybe you had, but it’s all so habitual, that I don’t any more. However, the exercises I discovered this weekend can help me unlearn some of the bad habits I’ve adopted when standing and moving and create some new ones, relieving neck, shoulder and back pain along the way. If you’d like to read more about it, then check out the Essential Somatics website. Evening Nia Taster Class, 14 March, 6.30 p.m. This stance aligns all three body weights – head, torso and pelvis and has the outside of your feet parallel. You’re standing with your knees slightly bent, as if you’re riding a horse (it’s also sometimes called “riding stance”). It helps condition all your leg muscles, which of course make it possible for you to move around. In Sumo Stance, you can reach further side to side and sink lower. Watch it here. Free Nia Taster Class, 14 March 2016, 6.30 p.m.
Move in your body. Connect to your spirit. Relax at the end of the day. Join us at this fun workout that you can do at your own level. This is a free class offered by the Pioneering Care Centre. The cafe will be open, so why not come along early and join me for a cuppa and a chat beforehand? No experience, or co-ordination needed! Dress comfortably so you can move and bring some water. We usually move barefoot, so no special footwear is required. Take 5 & Get moving for better health! After highlighting illnesses where exercise probably won’t help you because your body needs rest to fight the bugs, I got to thinking of what illnesses and conditions might actually be helped by exercise. A lot of this is common sense, but it’s good to know that what follows is backed by research too. The Mayo Clinic in the USA, echoes the view that regular exercise can help people with heart disease. It can also help insulin lower blood sugar levels in people with diabetes and help control their weight and boost their energy. It seems that the frequency and severity of asthma attacks can also be controlled by regular exercise. For those with back pain, low-impact aerobic activity can increase strength and endurance in the back and improve muscle function. Core-strengthening exercises may help reduce symptoms by strengthening the muscles around your spine (I suppose this is why Pilates helps so much). And on a personal level I can tell you that exercise reduces pain from arthritis, as well as reducing stiffness in the joints and build muscle strength. And all that is before we start on the fact that getting moving can also lift your mood and improve your social life. Do you have any experience of how exercise has helped you that you’d like to share? Find something active you can do for just fifteen minutes every day this week. Choose something easy that you enjoy and get moving! My choice is easy. The sun’s just come out, so I’m off for a walk, and then, I’ll put on some music and dance my way through a couple of new Nia tracks.